When looking for beautiful and long-lasting replacement windows and patio doors for their homes in the greater Sacramento area, homeowners feel confident turning to the reliable experts at Impressive Exteriors. We have more than 50 years of cumulative experience, and our owners have been a part of the home improvement industry since 1998. 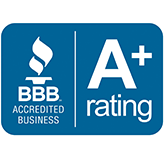 Our dedicated and talented team has helped us earn and maintain an A+ rating with the Better Business Bureau as well as a wide variety of awards on Home Advisor. 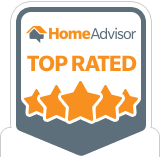 At Impressive Exteriors, we offer homeowners in the Sacramento, CA, area, high-performance, dual pane replacement vinyl windows, and patio doors that are custom made to fit your home and energy saving needs. They are designed, engineered, and manufactured right here in California e by the top rated family-owned manufacturer Anlin Window Systems. We stand behind these patio doors and replacement windows so much that we exclusively sell Anlin products. All of the vinyl patio doors and replacement windows we sell and install are aesthetically appealing and made of highly durable materials so that they are built to last. Additionally, they are resistant to damages, such as cracking, chipping, and peeling, that are common to home windows and doors made of other materials. What’s more, they are also energy efficient and will help your home maintain a comfortable indoor temperature all year long. Sacramento replacement windows and patio doors to meet a wide range of aesthetic preferences, needs, and budgets, we offer different styles to choose from. You’ll be able to pick from five different series of house windows and three separate styles of patio doors. Whether you are looking for a sleek, modern home upgrade or prefer a traditional-looking window or door, we have the product for you. And, when you choose to partner with Impressive Exteriors for your home improvement project, you can feel good knowing that your investment is protected. Our replacement windows and patio doors are backed by Anlin’s True Double Lifetime Warranty, which protects your new home upgrades for as long as you remain in your residence. That’s not all though. We also back our labor with a five-year installation warranty. If you would like to learn more about the patio doors and replacement windows we have available to homeowners throughout the Sacramento, CA, area, contact Impressive Exteriors today. 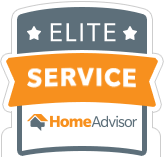 We’ll be happy to answer any questions you have and can schedule you for a complimentary in-home consultation.